What Kind of Tape is Best for Buddy Taping Toes? March 2, 2016 - by rob - 2 Comments. If you have ever wondered what kind of tape is the best for buddy taping your toes then you will pleased with a quick and simple answer. The answer is Coban Tape. Why is Coban Tape the best for Buddy Taping? If you have ever broken a finger or toe, you will know how tender the skin can be to the touch. The best thing about Coban Tape is that it doesn’t stick to anything except itself. That’s right, it doesn’t stick to the skin. Also remember we are not medical experts, so please consult yours before even attempting any of the recommendations from this article or corresponding videos. 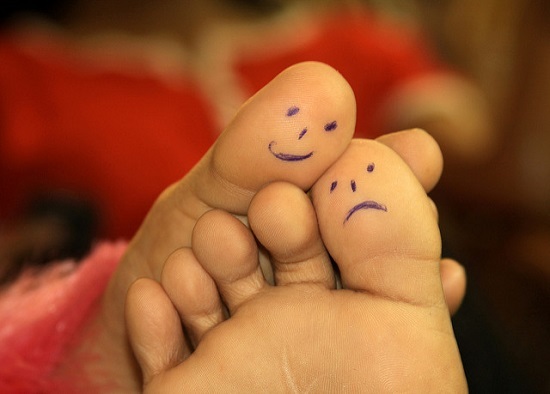 Firstly imagine your toes are numbered from 1 to 5 with 1 being your big toe and 5 being your little pinky toe. Stay away from the big toe! At the end of the day if you are buddy taping your toes or your fingers make sure you are following the advice of a medical professional. We wish you all the best as you buddy tape up your toes or fingers. Previous Article What Kind of Tape Sticks to Brick? thanks for this, I just badly bruised my toe and now, thanks to you, I know exactly how to tape it up and what kind of tape to use. Very valuable stuff guys. Why can’t you tape your big toe?